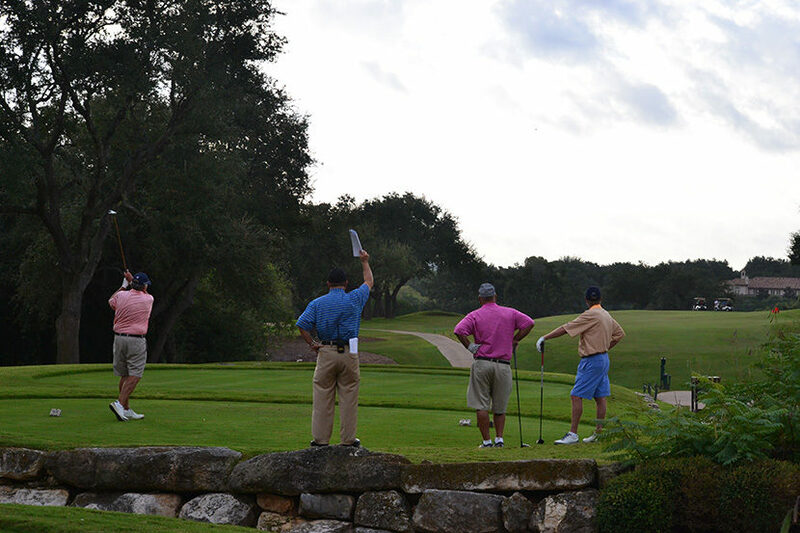 The first round is complete after a warm and breezy day at Austin Country Club, with good scoring and many players still in the race in both the mid-amateur and senior divisions. The seniors completed play in the morning, with defending champion Bob Kearney of Houston picking up where he left off last year, opening with a 4-under 68 and sharing the lead with Thomas Johnson of Austin. Last year's runner-up John Grace of Fort Worth shot a 69 with 2012 champion Jeff New of Scottsdale, AZ another shot back at 70. Last year's other runner-up Mike Peck of Irving (71) and Texas State Senior champion Ron Kilby (72) also shot par or better. The mid-amateurs played in the afternoon, with three players co-leading at 2-under 70: Colby Harwell, a member of the victorious Texas team at last week's USGA State Team Championship; 2011 U.S. Mid-Amateur runner-up Kenny Cook of Noblesville, IN; and Neal Barfield of Dallas, a perennial high-finisher at the Penick. Defending champion Brian Noonan of Austin sits one shot back, with four more players two shots back at even-par 72. In all, 26 players are within four shots of the lead.